One of our all time favorite movies is celebrating a powerful milestone this year, as Ridley Scott’s classic sci-fi/horror hybrid Alien turns 35-years-old. Watching the film today it is every bit as powerful as the first time you saw it, and it has aged better than perhaps any genre movie ever made. It’s still terrifying, still wildly original, and even though it’s been ripped off countless times, it’s still as fresh as it was three-and-a-half decades ago. A big part of that is the creature and set design from noted Swiss surrealist H.R. 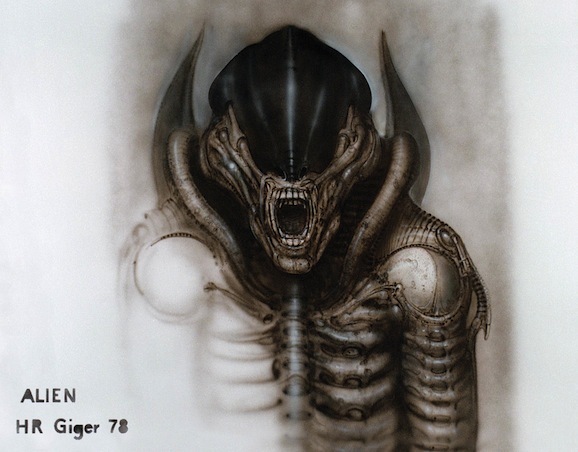 Giger, and a new collection of concept art from the film has found its way out of the shadows and onto the internet for you to check out. These images will be featured on cards that come along with the new 35th anniversary Blu-ray box set from 20th Century Fox, but you can get a sneak peek at them thanks to Yahoo. These paintings are replicas of the original designs that Giger gave to Scott. You not only see the intricate designs that the artist came up with for the sets, and the horrifying creations that would go on to haunt so many of our nightmares over the years, but the twisted eroticism and sexuality that Giger’s work is notorious for is also prominently displayed in these works. Ridley Scott is a busy man. His biblical epic Exodus: Gods and Kings opens this December, he’s getting ready to film The Martian—putting together one hell of a cast in the process—and the wheels are always turning when it comes to revisiting two of his bigger sci-fi films, Blade Runner and Prometheus. The director recently took a few minutes to address the status of both Blade Runner 2 and Prometheus 2, which is something we always appreciate. For fans of Andy Weir’s novel The Martian — which should really include all of you — the book’s trip from page to screen has been an exciting one. (It actually started out as a free read online, but that’s beside the point.) The project’s latest news sees A-list actresses Jessica Chastain (Zero Dark Thirty) and Kristen Wiig (Saturday Night Live) in talks to take over the female leads, joining Matt Damon in what is set to be Ridley Scott’s next film. Negotiations between the actresses and Fox are still in the early stages, so it’s not quite time to thank our lucky red planets just yet. 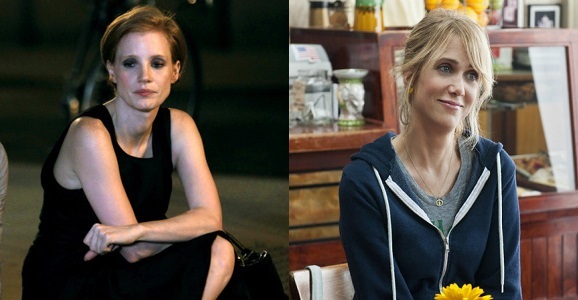 According to Deadline, Chastain looks like she’ll be more likely to sign on than Wiig, though there’s no explanations provided for this assertion. There’s also no specificity as to what roles each actress would be filling, though we can make predictions. 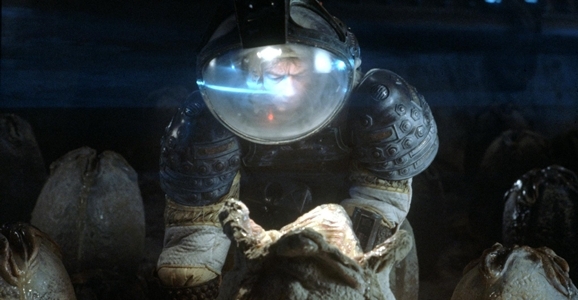 Ridley Scott has never been a filmmaker content to sit back and take a break. He’s always got at least a couple of big movies in the works, like the Moses epic Exodus: Gods and Kings with Christian Bale that opens in December, or Matt Damon-starring Mars adventure The Martian, slated for release on November 2015. But no matter what he’s actually working on, there’s always talk of revising some of his earlier films. Rumors about Blade Runner 2 and various jaunts into the Alien universe (lately in the form of Prometheus movies), in particular, just never quite go away. The director recently spoke on both counts. 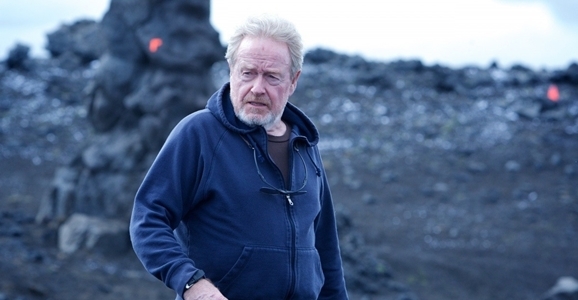 Ridley Scott’s Next Film Is The Martian, But What About Prometheus 2? 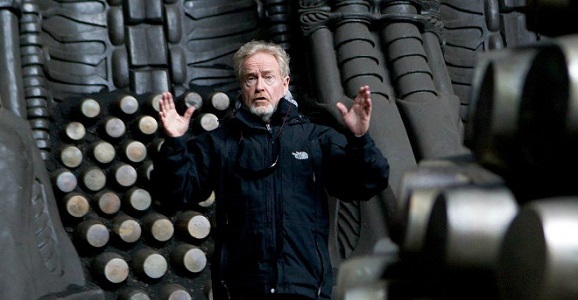 Most 76-year-olds are enjoying retirements and grandchildren, but Ridley Scott is currently juggling a handful of highly intriguing projects, causing his fans to wish that he could make a replicant of himself to handle the work overflow. Luckily, screenwriter and producer Simon Kinberg has some inside information about Scott’s next move, and he says the Oscar-nominated director is definitely next headed up into space with The Martian and star Matt Damon. Which means Prometheus 2 is either going to sit on Scott’s backburner for a little while longer, or it’ll go to someone else’s frontburner. More on that in a bit. Speaking with Jeff Goldsmith on his podcast The Q&A with Jeff Goldsmith (via IndieWire), Kinberg confirms that Scott will begin production on The Martian this fall. Now, Kinberg’s word isn’t as good as a studio press release or Scott himself coming out and saying it, but as the producer who got this adaptation rolling, he’s one of the few people who actually has some authority on the matter.